I finally found a nice and simple design for a large bracelet! The Prosperity knot was just in front of me but, I don’t know why, I didn’t have the idea to use it before. I just had to elongate it a bit and Voilà! I’m really really pleased with the result. 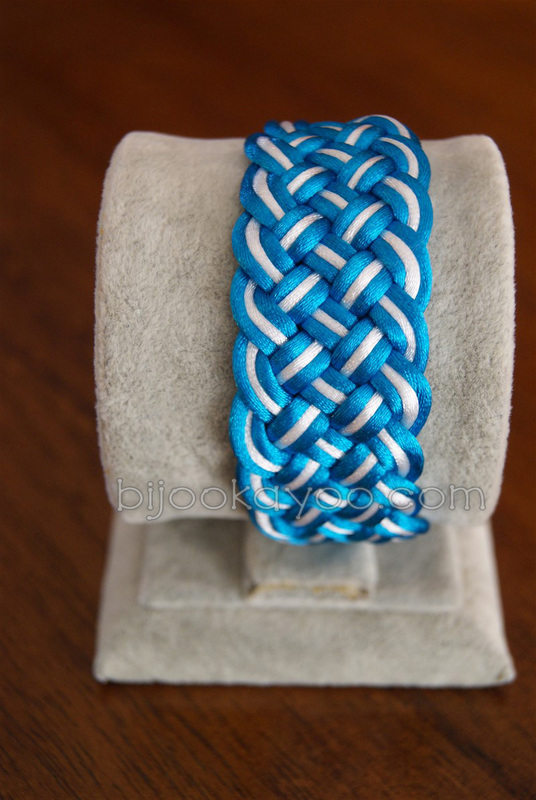 This kind of bracelet is nice to wear anytime and gives a classy touch to your wrist without being too much. 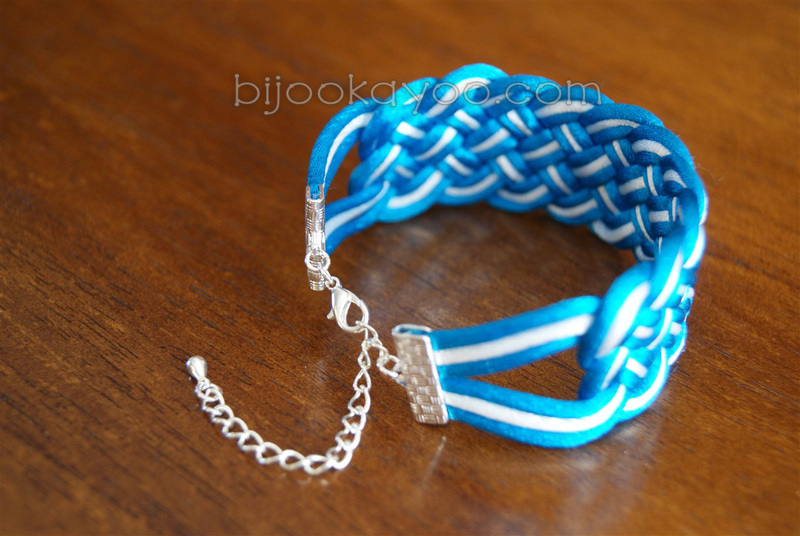 This large bracelet is made of blue and white 2mm satin cords and silver plated findings. 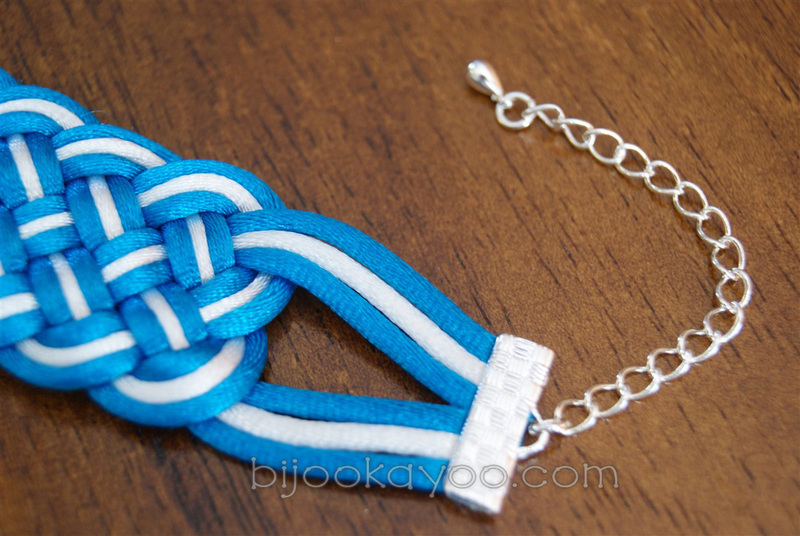 Posted in BraceletsTagged adjustable, chinese, cord, findings, knot, large, prosperity, satin, silverBookmark the permalink.